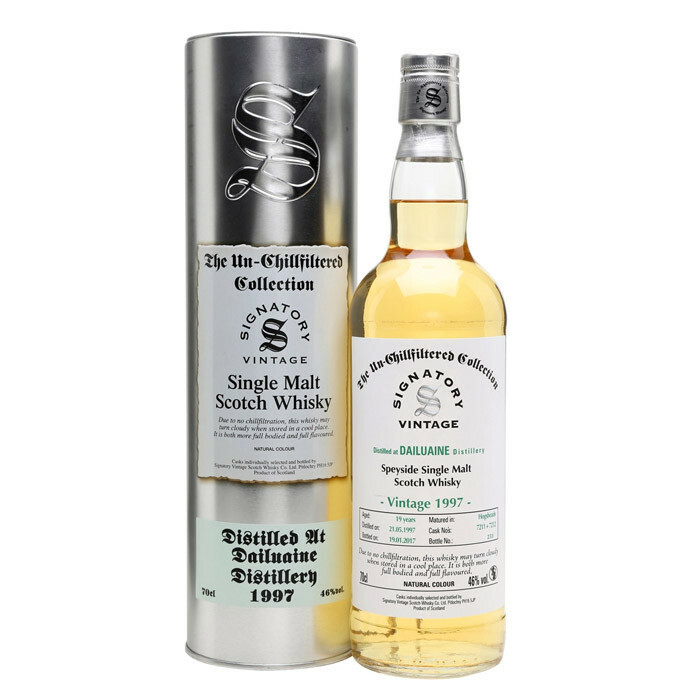 A 1997 vintage Dailuaine bottled by Signatory for their Un-Chillfiltered Collection. Dailuaine single malt Scotch whisky, aged in a pair of hogshead casks. This whisky was distilled in May 1997 and bottled in May 2016. Nose: Caramel, barley, green apple and a handful of lavender. Palate: Mocha, pepper oak, old leather, pear and some salted crackers. Finish: More chocolate and lasting notes of nutty malt.